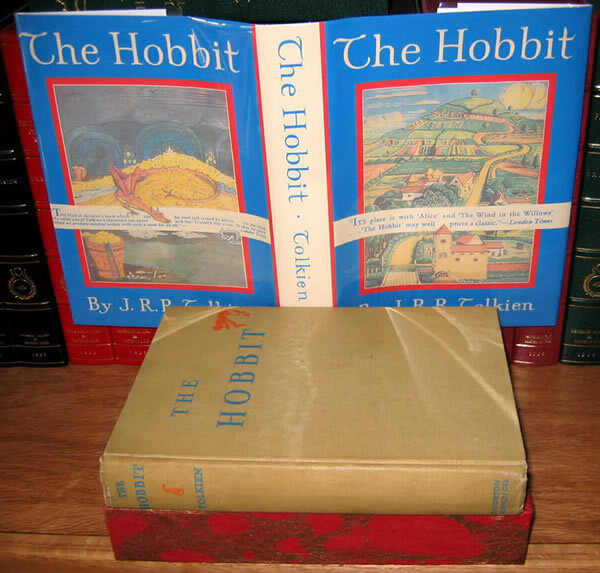 It has been 70 years now since the Hobbit was published. For this reason I thought it nice to look back at some article I wrote some years ago. 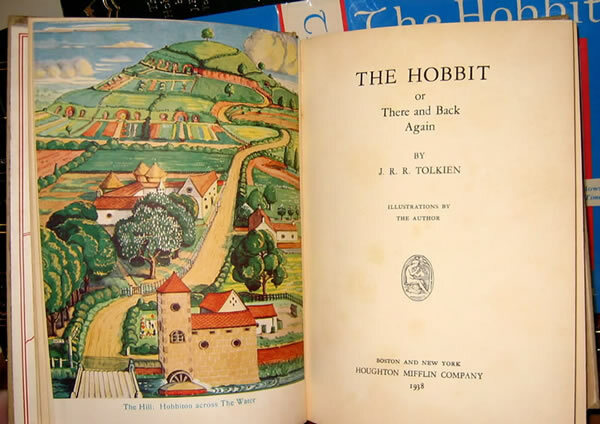 While the American Hobbit was only released 69 years ago, they still join in the celebration by releasing a 70th anniversary edition of the Hobbit. 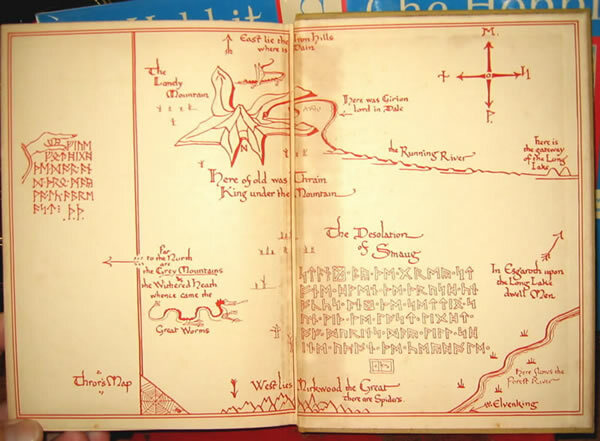 The UK equivalent of this book will also be available soon, namely inside The Hobbit 70th Anniversary Collectors Edition , of which you can find all info in this article. 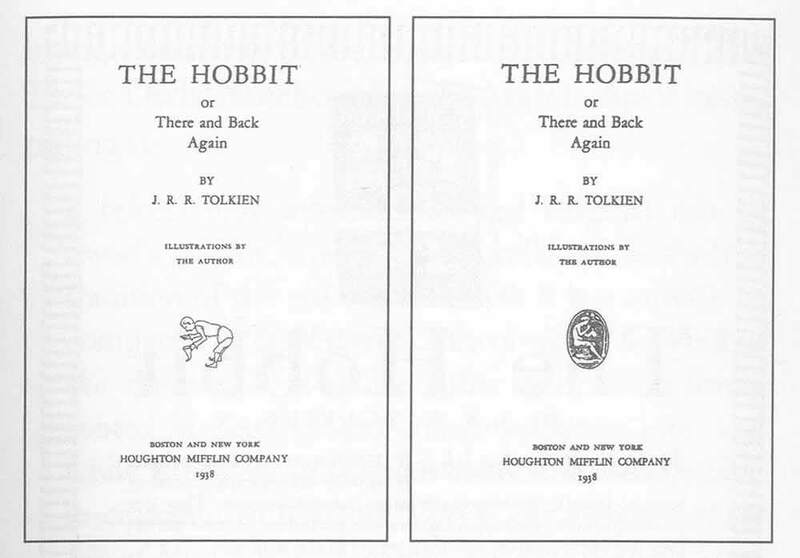 Bowing hobbit emblem on title page. Chapter VII mistakenly titled Chapter VI. Maps pasted down and are bound opposite to the order of the List of Illustrations, as per Hammond and Anderson. Features the 4 color and 9 black and white illustrations by Tolkien. * Second state: Seated flautist emblem on title page. Maps pasted down and are bound to the order of the List of Illustrations, as per Hammond and Anderson. Seated flautist emblem on title page. 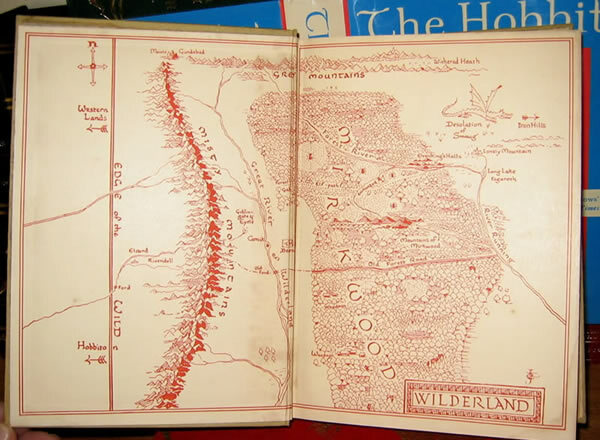 The Tolkien Library Store always has some states of the first edition of the US Hobbit up for sale. You can find these in the 'original cloth' section (here).